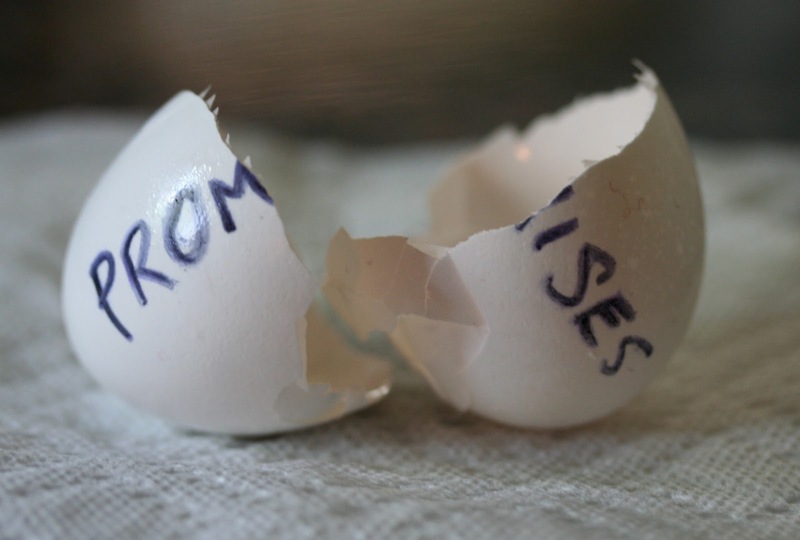 Students who enter charter school lotteries are not equivalent to students who don't. Plenty of research backs this up (see the lit review in this paper for a good summary of this research). Combine this with the high attrition rates in many "successful" charters, and the high suspension rates at many more, and you have a system designed to separate students by critical family characteristics that do not show up in student enrollment data. ...It's important to note that the Camden City Public Schools do not have the luxury of setting caps on enrollments, deciding which grades to serve, or not enrolling students who move in after the kindergarten year. Everyone in Camden must get a seat at a CCPS school. But only a lucky subset of students get to attend a renaissance school. Not all of America's public school students are Christian. Not all Christians in the United States use the same translation of The Bible. When we try to include religious texts in school we run up against the problem of whose version of the text to use, which religious texts should be included, and which religions or sects to include. Teachers who teach such courses need to be well-versed in the law making sure they don't express a preference for one religion, sect, religious text, or version of a religious text over another. ...his own personal experiences in Virginia, where Anglicanism was the officially established creed and any attempt to spread another religion in public could lead to a jail term. Early in 1774, Madison learned that several Baptist preachers were behind bars in a nearby county for public preaching. On Jan. 24, an enraged Madison wrote to his friend William Bradford in Philadelphia about the situation...Madison wrote. "This vexes me the most of anything whatever. There are at this time in the adjacent County not less than 5 or 6 well meaning men in close Gaol [jail] for publishing their religious Sentiments which in the main are very orthodox. I have neither the patience to hear talk or think anything relative to this matter, for I have squabbled and scolded abused and ridiculed so long about it, to so little purpose that I am without common patience. So I leave you to pity me and pray for Liberty of Conscience to revive among us." The current crop of Bible-in-public-school bills does nothing more than attempt to inject religion into public schools. Indiana State Senator Dennis Kruse, in his bill, SB 373, makes it especially plain that this is his goal since his bill adds "creation science" into the mix. ...Let’s not be misled: Barton, the backers of Project Blitz and other far-right groups behind this new push aren’t interested in truly objective classes about the Bible in public schools. They want classes that indoctrinate children in a specific religious perspective – theirs. What should a teacher do with a child reading at a pre-primer level in third grade? I decided that I would do the same for him as I did for the students who were reading several grade levels above average. I would provide material at his level. That meant that John wouldn't be exposed to grade-level reading material. In other words, I changed the curriculum to fit his needs, rather than make a futile attempt to force him into a curriculum in which he would fail, become frustrated, and learn to hate reading. The latter is what many schools have forced teachers to do since No Child Left Behind. ...it is not a five year old's job to be ready for kindergarten-- it is kindergarten's job to be ready for the five year olds. If a test shows that the majority of littles are not "ready" for your kindergarten program, then the littles are not the problem-- your kindergarten, or maybe your readiness test, is the problem...if you still think that children raised in poor families have "too many" needs, then maybe start asking how you can ameliorate the problems of poverty that are getting in the way. I wrote about a related issue in this bill last week. This bill, should it become law, would mean that the State Superintendent of Public Instruction would be an appointed position beginning in 2021, rather than a position voted on by the citizens. Since members of the State Board of Education are also appointed, the voters will have no direct input in the state's education policy except through the governor. ...charter school growth results in a “large and negative fiscal impact” on the districts evaluated. ...the findings are consistent with previous studies and show that charter growth generally results in a lower quality of education for students who remain in a district’s traditional public schools. The Los Angeles teachers who went on strike earlier this month didn't strike only for more pay and benefits. 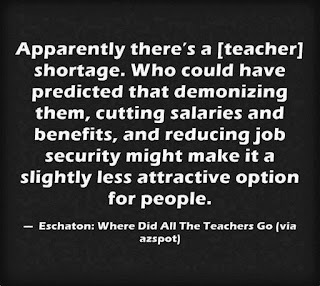 They were offered a 6% increase before the strike. They accepted a 6% increase to end the strike. What they gained were improvements to the learning conditions of the students in the form of lowered class sizes and much-needed wraparound services. It was clear, however, that part of the problem with funding in Los Angeles and California, as well as in other parts of the country, is that money is being diverted from public schools to privately run charter schools. States can't afford to support multiple school systems. 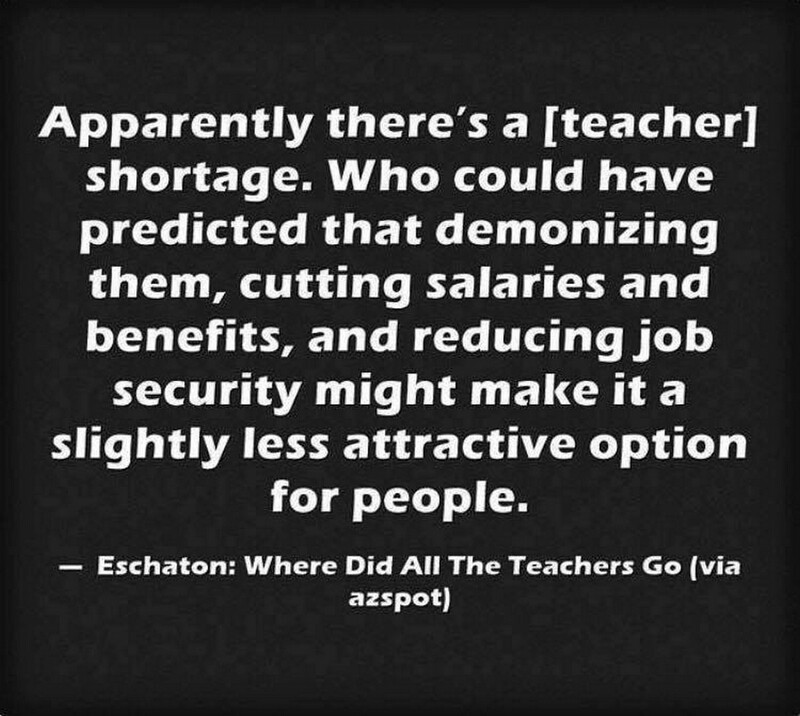 Think about this in terms of the evaluation of teachers, for example. Teacher A might be able to help student A, who is homeless, adjust to school, while Teacher B may not. But Teacher B's classes usually have higher test scores. If you were the parent of student A which teacher would you want for your child? "Science is facts. Theory is not yet science." After a quick facepalm, I responded with the article, "Just a Theory": 7 Misused Science Words. This didn't work, of course, because the person in question had been "educated" at a "Bible Institute." He was obviously mistaught basic science concepts. This is what we are up against. When the effects of climate change are no longer deniable, these same people will, at that point, point to "god" and claim we are being punished for allowing gay marriage, transgender soldiers, unisex bathrooms, or some such nonsense. Until that time, they will go along with the right-wing talking point denying climate change claiming it's just a conspiracy to get more money for scientists. In the meantime, there are places where insects are disappearing and the entire food chain is at risk. Those places shouldn't be taken as exceptions, but rather as warnings. ...We are part of a complex web of interdependencies, and it’s also a non-linear dynamical system. There’s a word for when parts of such a system show a pattern of failure: it’s called catastrophe. By the time you notice it, it’s too late to stop it. Tomorrow is Jackie Robinson's 100th birthday.